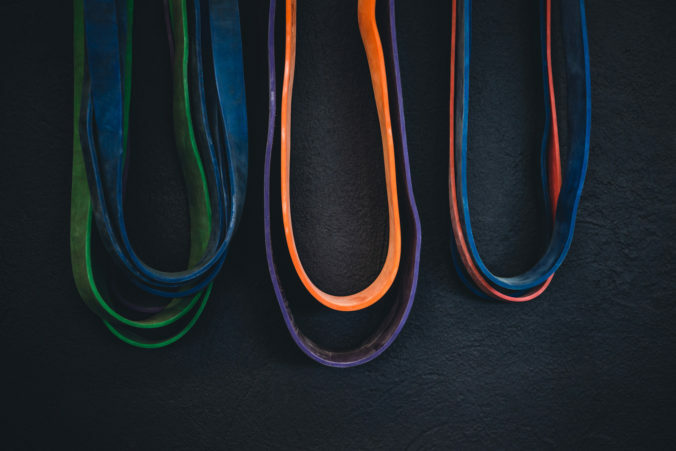 I have a confession to make: I used to believe that resistance bands provided a somewhat inferior form of strength training, and that they were only reserved for easy workouts. Until I learned how to use them properly, that is! Nowadays, while I love my dumbbells, barbell and kettlebells, resistance bands still hold an important place in my training. When used for the right exercises, the right way and with the right amount of resistance, bands are a spectacular tool that can yield some surprising results! Here are three challenging circuits for you to try! Rest as needed to keep the highest possible quality of movement! Pay attention to your form! Quality reps are what we’re aiming for! Pay attention to your form, and you’ll never again say that resistance band workouts are “easy”! Want more free workouts delivered straight into your inbox? Then hurry up and join my Special Crew! On top of fun sweat sessions, you’ll be getting insiders-only access to tons of personal insight and stories, as well as exclusive offers! Register right here, right now!